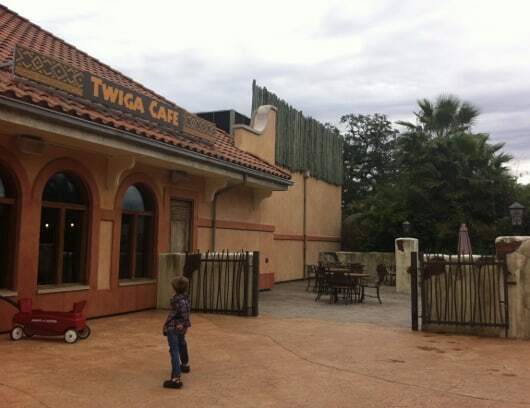 Home»All»Twiga Cafe at the Houston Zoo – BigKidSmallCity’s Search for Houston’s Best Kid Friendly Restaurants! 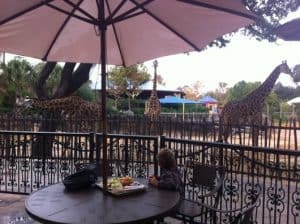 Twiga Cafe at the Houston Zoo – BigKidSmallCity’s Search for Houston’s Best Kid Friendly Restaurants! 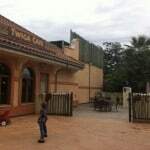 This week, my son and I went to the Twiga Cafe at the Houston Zoo. We had never tried it and we thought it was certainly kid-friendly but how good was their food? 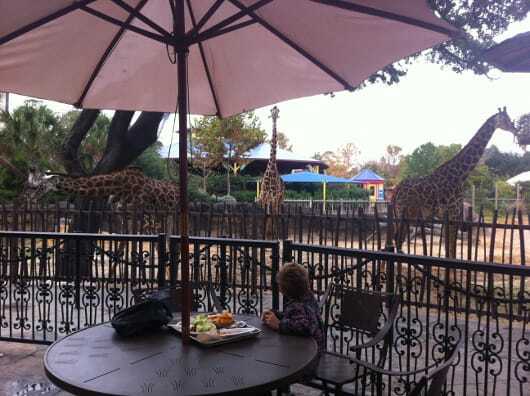 First I have to say that eating on the small patio right by the giraffes was really wonderful. You have the choice between another patio overlooking the rhinoceros or inside where the room is casual and simple but really, outside is worth it. The giraffes are 2 feet away from you. We enjoyed watching them watch us! 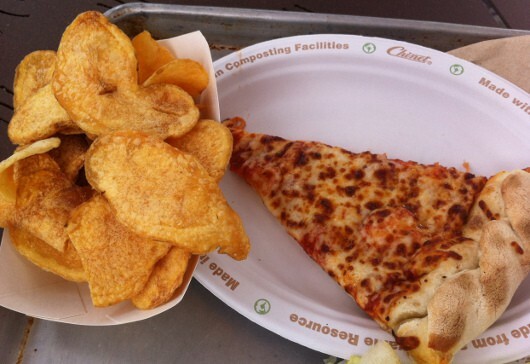 The food is cafe fare: hamburgers, pizza, sandwiches or salads. I ordered a chef salad and my son a slice of pizza. Then, I saw a huge pot full of homemade potatoes chips … and we had to try them. They were delicious, crunchy, thick, not too oily, a really surprising treat! Let’s just say that we ate them all and you will too! 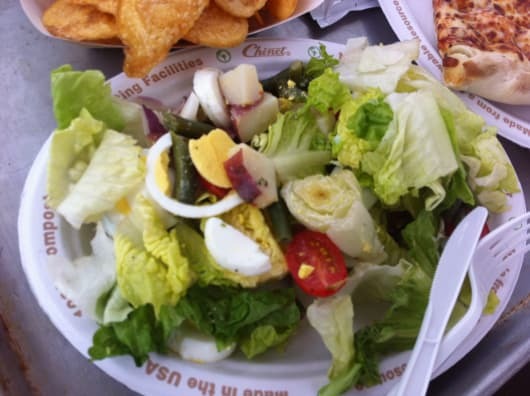 My salad was good, saatisfying and fresh. The pizza was a success too and the crust was soft and delicious. As you pay, you have a choice of cookies or even little cups of candies or goldfish. The prices were good, our lunch was about $11.00. I have been to the zoo many times and I have to say that our lunch there was a really special time, we very much enjoyed our food and the venue and it made a visit to the zoo extra special. So for your next visit to the zoo: make a pit stop at the Twiga Cafe!